DAY6's first world tour encore concert sucessfully finished with 9,000 fans! DAY6 has completed their first world tour encore concert and brought joy and emotion to 9,000 fans. 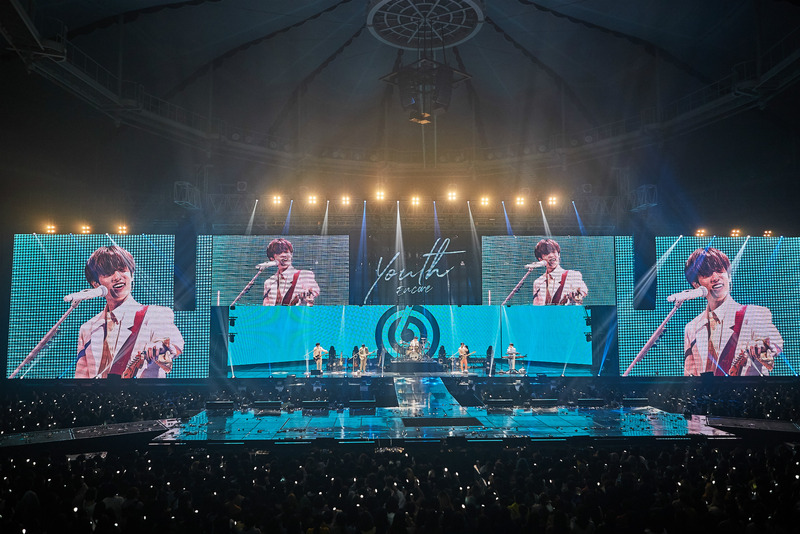 DAY6 held an encore performance to celebrate their first world tour "DAY6 1ST WORLD TOUR "Youth" at SK Olympic Handball Stadium in Bangi-dong, Songpa-gu, Seoul, on last 30 and 31. The concert, a reenactment of the glory of the world tour, took place in 24 cities around the world and 26 performances, was held at the largest concert hall among solo performances held here by DAY6 to further realize growth. DAY6 recalled its first world tour, where it was like a dream with more than 9,000 spectators on both days, crying and smiling, and promised a new day. Starting with "Better Better," DAY6 mesmerized the audience for about three hours with 26 self-produced repertoires featuring a wide range of emotion lines, including "We Need Someone," "Shoot Me" and "Sing Me." The five members boasted fantastic breathing on stage. DAY6's outstanding singing, performance and stage manner also showed special synergy when they met with upgraded production. It added a variety of elements such as videos that effectively convey the mood of the song and stage lifts where members can be seen from various perspectives. After the encore concert, DAY6 completed a long journey of its seven-month world tour that began in June last year. With two fulllength albums, 25 self-written songs and a total of 25 performances through the 2017 "Every DAY6" project, DAY6 has opened their first world tour, starting with a concert in Seoul in June last year He then shone the "power of music" of DAY6 million in Asia, Australia, North America and South America, including Ulsan, Jeonju, Melbourne, Sydney, Busan, Taipei, Bangkok, Manila, Daegu, Toronto, Minneapolis, Atlanta, Philadelphia, LA, Sao Paulo, Santiago and Jakarta. In January this year, a total of six cities in Moscow, Madrid, Berlin, London, Paris and Amsterdam drew attention by wrapping up their European tour with local fans. This gave DAY6 a deep cry to fans at home and abroad, performing "28 concerts in 24 cities around the world" until their Seoul encore performance.